This week saw the arrival of not one but two supply spacecraft to the International Space Station. For the astronauts on board fresh supplies mean fresh fruit and vegetables but also lots of work unpacking the tonnes of equipment and scientific experiments. First up was the Progress MS-10 (or Progress 71P in NASA numbering) that was launched 18:14 GMT on November 16 from Baikonur cosmodrome in Kazakhstan. ESA astronaut Alexander Gerst took an amazing timelapse video of the launch from the orbiting Space Station that catches the different stages of launch. The unpiloted spacecraft docked automatically with the Space Station two days later at 19:28 GMT on 18 November. The Northrup Grumman Cygnus NG-10 supply spacecraft was launched on an Antares rocket from NASA’s Wallops Flight Facility, USA, at 09:01 GMT on 17 November. 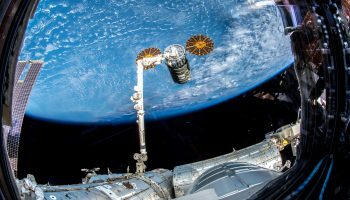 Unlike the Progress spacecraft the American Cygnus was captured by NASA astronaut Serena Auñón-Chancellor and ESA astronaut Alexander Gerst using the Space Station’s 16-m robotic arm at 10:28 GMT on 19 November. As the International Space Station is a partnership between many countries, ESA sends European supplies with most cargo deliveries. Let’s have a look at the European items that were launched into space recently. The Cygnus spacecraft had over 3 tonnes of supplies of which ESA had included 23 kg of hardware. European supplies included support structure and plates for the Materials Science Laboratory (MSL). The MSL is a miniature space furnace that can heat metals to melting point and quench them to solidify them. New supplies for the Circadian Rhythms experiments are also in the Cygnus. 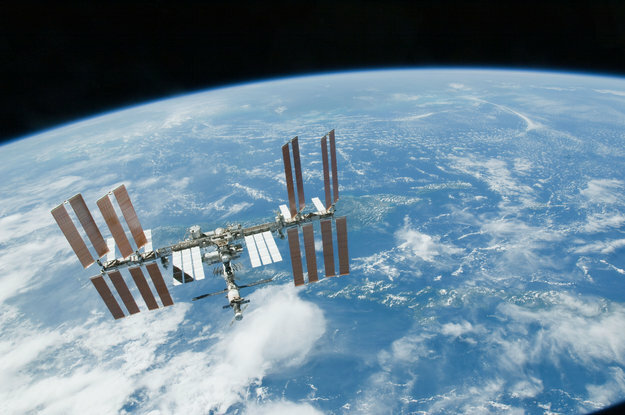 This experiment is looking at how astronauts cope with living without natural sunlight. It uses a device that takes continuous temperature measurements using a novel double-sensor. Cygnus brought a new unit and a new strap to fix the sensor. One of ESA’s trusted pieces of hardware, the Kubik incubator-centrifuge is getting an upgrade. 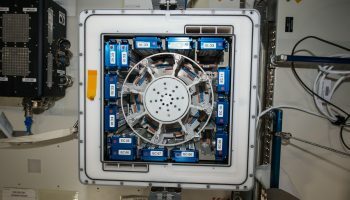 A miniaturised laboratory inside the Columbus module, the 40 cm cube has been one of its quiet scientific triumphs and is used for many experiments with biological samples from 2008. Twelve experiments from ESA and national space agencies have run in Kubik, with seven more planned by the end of this decade. The facility is being upgraded with new electronics, to offer more features and keep it fully operational into its second decade. Cygnus brings new batteries, electronics, a network cable and a test experiment container to check the upgrade works. Lastly on Cygnus for ESA is parts for the fourth SODI-DCMIX experiment that is looking at how fluids react to changes in temperatures. Fluids and gases are never at rest, even if they appear to be when viewed by the naked eye. Molecules are constantly moving and colliding even though there is no microscope powerful enough to see it. Scientists are interested in observing and measuring how these movements combined with temperature changes lead to the fluid’s constituents redistributing as they reveal important, practical information such as how fluids mix or separate in different conditions. The new supplies include flash disks to store data and Ziploc bags in which to store them. 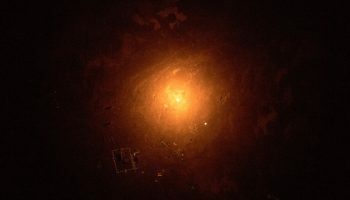 The Progress spacecraft arrived with around 2564 kg of food, fuel and supplies, including about 750 kg of propellant, 75 kg of oxygen and air and 440 l of water. ESA had little cargo on this supply run with only a few special food items for Alexander on the roster. The Progress will remain docked at the station for more than four months before departing in March for its deorbit in Earth’s atmosphere.